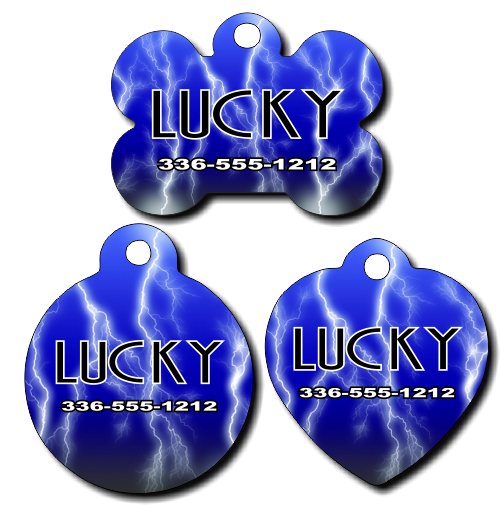 Personalized Blue Lightening Background Pet Tag for Dogs and Cats. This identification tag is more than just a pretty charm for your pet's collar. It can be personalized so that if you and your furry friend are separated you can easily be contacted.